Just 330 yards from the pristine Pismo Beach, this hotel places guests only moments from a variety of recreational activities and entertainment, and offers comfortable accommodations close to all the action. The Blue Seal Inn is ideally situated within walking distance of many of the area's most popular attractions, including Pismo Beach Pier, filled with arcades, billiards and bowling. A variety of water sports, such as surfing, fishing and swimming are also seconds away. With an outdoor swimming pool and free coffee and pastries, every day at the Blue Seal can be enjoyable and relaxing. This Pismo Beach hotel is on a cliff overlooking Shell Beach. The hotel offers a full-service spa, an oceanfront outdoor swimming pool and a balcony in every guest room. The Cliffs Resort features a 42-inch flat-screen TV and free Wi-Fi in every guest room. A coffee maker and work desk are also provided in each room. Guests at the Cliffs can use the hot tub or the sauna. A 24-hour gym with modern cardio and weight training equipment is also available. Marisol restaurant at The Cliffs offers Latin cuisine, indoor and outdoor seating, and live entertainment. Room service is also available. Upon request, a free shuttle service is provided to the San Luis Regional Airport and Amtrak Station. 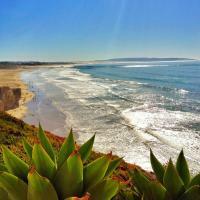 Pismo Dunes Natural Preserve and Pismo State Beach are a 20 minute drive from the hotel. This California motel features an outdoor heated pool and is 300 meters from Pismo Beach Pier. The motel offers a continental breakfast and free Wi-Fi is available in the rooms. The Ocean Palms Motel includes rooms with cable TV and HBO. A microwave and a refrigerator are provided in each room. This motel is pet friendly. The Motel Ocean Palms is a 15-minute drive from California Polytechnic State University. The Le Sage Riviera Golf Course is a 5-minute drive away. This oceanfront guest house is located in Pismo Beach, California. The guest house offers ocean views, a daily breakfast and a heated outdoor swimming pool. The Cottage Inn by the Sea features a fireplace and free Wi-Fi in every guest room. Microwaves and refrigerators are also included. Some rooms offer direct ocean views. Guests can use the sundeck that overlooks the ocean. The Cottage Inn also features a business center. Coffee and fruit are available in the lobby and fresh baked cookies are served in the afternoon. The Pismo State Beach is a 10-minute drive from the Cottage Inn. The Pismo Coast Shopping Plaza is about 2 miles away. This Pismo Beach, California hotel is 2-blocks from the boardwalk and historic pier. The hotel features a seasonal outdoor pool, free Wi-Fi and guest rooms provide cable TV with HBO. Beachwalker Inn & Suites offers every room with free local telephone calls. Microwaves and refrigerators are available upon request. Pismo Beach is within walking distance from the Beachwalker Inn. Pismo Dunes Natural Preserve is 8.3-miles away. This hotel is across the street from the Prime Outlets-Pismo Beach mall. The hotel offers an outdoor swimming pool, a daily continental breakfast and free Wi-Fi. Every room at Quality Inn Pismo Beach features a microwave and refrigerator. Cable TV and a coffee maker are also included. Guests can enjoy the Pismo Beach Quality Inn's tropical area with waterfalls, hot tub and a patio. Copy and fax services are also available. The Pismo Beach Pier is 2 miles from the Quality Inn. Dinosaur Caves Park, with its beach, jogging trails and a children's play area, is 3 miles away. Free Wi-Fi is available at this motel in Pismo Beach, California. Just 2 blocks from the beach, the motel features guest rooms with a microwave and refrigerator. Sea Garden Motel provides cable TV with the HBO channel. Pismo State Beach is 2 blocks from the motel. Motel Sea Garden is just off Route 101 and is 8.5 miles from Pismo Dunes Natural Preserve. Guests are within walking distance of the pier. Within walking distance of Pismo State Beach and Le Sage Riviera Golf Course, this pet friendly motel is minutes from downtown Grover Beach and features an outdoor pool. The guest rooms at the Pismo Beach Motel 6 are equipped with cable TV and free local calling. Wi-Fi is available. This Pismo Beach, California motel serves complimentary coffee every morning. Laundry facilities are available. Ocean Dunes Recreation Area and Pismo Dunes State Vehicular Recreation Area are 25 minutes from Motel 6 Pismo Beach. 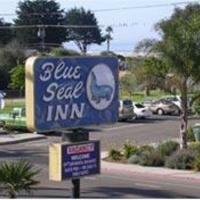 This Shell Beach motel is a 5 minute drive from Pismo Beach and has views of San Luis Obispo Bay. The hotel features rooms with free Wi-Fi. Rooms at the Palomar Inn come furnished with microwaves and refrigerators. Each room comes with a cable TV and ironing facilities. Guests at the Palomar can enjoy the waterfront patio with barbecue facilities. The hotel has a 24-hour front desk and business center. California Polytechnic State University and the San Luis Obispo Performing Arts Center are both 11 miles from the Palomar Inn. The motel is 4 miles from the Le Sage Riviera Golf Course. This California hotel is a 10 minute walk from Pismo Beach Premium Outlets and a 10 minute drive from Pismo State Beach. A restaurant, heated outdoor pool and a hot tub are all on site. Rooms include free Wi-Fi and 32-inch flat-screen TVs with HBO. All rooms at Hilton Garden Inn San Luis Obispo/Pismo Beach provide microwaves, refrigerators and coffee makers. They also have desks and sitting areas. Room service is available. For guests’ convenience, Pismo Beach Hilton Garden Inn has a 24-hour Pavilion Pantry Market. Their Great American Grill serves breakfast and dinner. Guests can access a gym along with a library and business center. 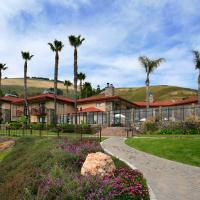 Pismo Coast Shopping Plaza and Pismo Beach Winery are within a half mile of Hilton Garden Inn Pismo Beach. Pismo Beach State Golf Course is one mile away. This hotel in Pismo Beach, California has free Wi-Fi, free parking and a daily continental breakfast. The Pismo Dunes Natural Preserve is a 10-minute drive away. A small fridge, satellite TV and a hairdryer are standard in every room at Ocean Breeze Inn. The spacious rooms are decorated in neutral colors. Pismo Beach Pier is just 1 block from Ocean Breeze Inn at Pismo Beach. Premium Outlets Mall is 1 mile from the hotel and Le Sage Riviera Golf Course is a 5-minute drive away. Located off Highway 101, this hotel is a 12-minute walk from Palasades Bluff Walkway. It features an outdoor pool and an on-site restaurant. All rooms offer free Wi-Fi. A cable TV and a mini-fridge are furnished in all rooms at Spyglass Inn. The traditionally decorated rooms feature warm colors and include a clock radio and hairdryer. At the Inn Spyglass restaurant, guests can choose from a variety of menu items. Featured dishes include omelets and stuffed French toast for breakfast or filet mignon for dinner. Dining is available indoors or on the patio with views of San Luis Obispo Bay. Pismo State Beach and Le Sage Riviera Golf Course are a 10-minute drive from this hotel. Pismo Lake Ecological Reserve is 5 miles away. Just a 5-minute drive from Pismo State Beach, this oceanfront hotel is steps from the beach. An on-site gift shop has beach necessities including coolers and sunscreen. Free Wi-Fi is included in all rooms. Cable TV with in-room movies is featured in all rooms at Sandcastle Inn Pismo Beach. Tea and coffee-making facilities and a fridge are included in the spacious rooms. A CD player is provided. Rooms with an ocean view balcony are available. Guests can enjoy a daily continental breakfast during their stay. Pismo Beach Sandcastle Inn also has free daily cookies and apples in the lobby. A hot tub with ocean views is on site. Pismo State Beach Golf Course and Pismo Coast Shopping Plaza are a 5-minute drive from this hotel. California Polytechnic State University is a 17 minute-drive away. Located along 5 acres of Pismo Beach sands, this oceanfront hotel features a pool and 3 hot tubs with views over the water. Free Wi-Fi and a continental breakfast are also available. A flat-screen TV and an iPod docking station are found in each bright, elegant room of The Seacrest Oceanfront Hotel. A microwave, fridge and coffee maker are also included. Guests of The Seacrest can relax on the rooftop terrace, 4 stories above the ocean. Beautiful patios with fire pits are also provided. Local wine and beer can be delivered to guests’ rooms throughout the day. Barbeque grills are also open for guest use. Pismo Beach Golf Course is 4 minutes from the hotel. Edna Valley Vineyard is less than 7.5 miles away. Situated just 2 blocks from the Pismo Pier, this California hotel is just steps from the beach. An outdoor pool and hot tub are located on site. All guest rooms include free Wi-Fi. Boasting ocean views, all rooms at Edgewater Inn and Suites feature a flat-screen TV with cable. Each comfortably furnished room provides tea and coffee making facilities, fridge and microwave. 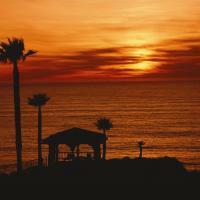 A 24-hour reception is offered at Edgewater Inn and Suites Pismo Beach. Fax and photocopying services are available. A launderette is available for added convenience. Monarch Butterfly Grove is a few steps from this hotel. Offering live music and drinks, Harry's Night Club & Beach Bar is 6 minutes’ walk away. Just 10 minutes’ walk to Downtown Pismo Beach, this resort offers guests relaxation and convenience. An on site restaurant and a spa are available. Rooms feature a private terrace with a hot tub. A seating area with a fireplace and a cable TV is offered in each beach-chic guest room at Sea Venture Resort. Free Wi-Fi is provided and a mini bar and coffee and tea-making facilities are available. The ocean front property provides bikes for guest use during their stay. A 24-hour front desk and laundry service is available for guest convenience. The on site restaurant at the Resort Sea Venture features a seasonal menu. Items are prepared with locally farmed vegetables, premium meats, and fresh fish and seafood. All desserts are made in house from scratch and room service is available. The restaurant is open Monday through Saturday, and with limited brunch hours on Sunday. Pismo Beach Winery is 5 minutes’ drive from the resort. Pismo Lake Ecological Reserve is 1.5 miles away. Offering rooms with stunning views of the Pacific Ocean and free Wi-Fi access, this oceanfront hotel features an on-site heated pool and hot tub. Pismo Beach Pier and city centre are 2 miles away. A flat-screen TV with cable channels is featured in all rooms at Best Western Plus Shelter Cove. A microwave, tea and coffee-making facilities and a refrigerator are included in every guest room. Pancakes, pastries and muffins are provided as part of a complimentary continental breakfast each morning at Shelter Cove Best Western Plus. In-room spa and massage services are available. A private stairway leads guests to a secluded oceanfront beach located on the property. Pismo Dunes Natural Preserve and State Beach is 12 minutes’ drive from this hotel. The Edna Valley wine region is less than 10 miles away. Cal Poly State University is 15 minutes’ drive from the property. Pismo Beach Pier is one mile from this all-suite hotel. A variety of activities, like miniature golf and badminton, are available. The spacious suites include 2 flat-screen cable TVs. Free Wi-Fi is available in all modern suites at the Pismo Lighthouse Suites. A Nintendo 64 is included and a sitting area, a microwave, small fridge, and coffee-making facilities are provided. An outdoor pool, hot tub, and fitness center are featured on site at the Suites Pismo Lighthouse. Spa services and a gift shop are also included. Guests can enjoy tea and coffee in the lobby, as well as a cookie upon check-in. A continental breakfast is provided. Cal Poly San Luis Obispo is a 20 minute drive from the hotel. Dinosaur Caves Park is less than a 5 minute drive away. Located less than a mile from the Palasades Bluff Walkway, this oceanfront resort features an outdoor pool and hot tub. Rooms include a full kitchen and a private balcony. A flat-screen cable TV with a DVD player and free Wi-Fi are offered in each room at the Dolphin Bay Resort and Spa. A sitting area with a sofa, laundry facilities, and a private bathroom with bathrobes and slippers are also provided. Massage and spa services are available at Labonne Vie Spa on site. Bicycles are available for rent at the Resort and Spa Dolphin Bay and a concierge service is provided to assist guests with area attractions. Lido Restaurant, offering sweeping ocean views, is conveniently located at the hotel. The restaurant specializes in bringing local ingredients and local wine together for a unique dining experience. Hearst Castle is a one hour drive from the hotel. San Luis Obispo is a 10 minute drive away. In downtown Pismo Beach, this hotel provides a private balcony with an ocean view and a kitchenette in all rooms. Free, beachside covered parking is provided. Free Wi-Fi is included in all rooms at the Beach House Inn and Suites. A spacious sitting area with a flat-screen TV and a DVD player are also available in each guest room. Located off of highway 101, area restaurants are within walking distance of the Beach House Inn and Suites Pismo Beach and various outdoor sports activities such as hiking, surfing, fishing, and biking are available from the property. The Pismo Beach Pier is a 5-minute walk from Beach House Inn & Suites. Pismo Beach State Beach is a 1-minute walk away. In Pismo Beach town center, a 5-minute walk from shopping, dining and the pier, this hotel features wine tasting and spacious suites with free Wi-Fi. All suites include gourmet kitchens. Select suites feature ocean view balconies Valentina Suites. Free toiletries are provided in the private bathrooms. A flat-screen TV, an iPod docking station and surround sound are available in all suites. Free covered parking is available to all guests at Pismo Beach Valentina Suites. California Polytechnic State University is a 20-minute drive away. 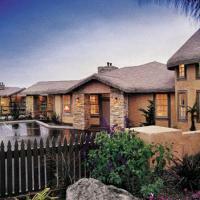 Santa Barbara, California is 80 miles from Valentina Suites.